A reasonably realistic looking game. 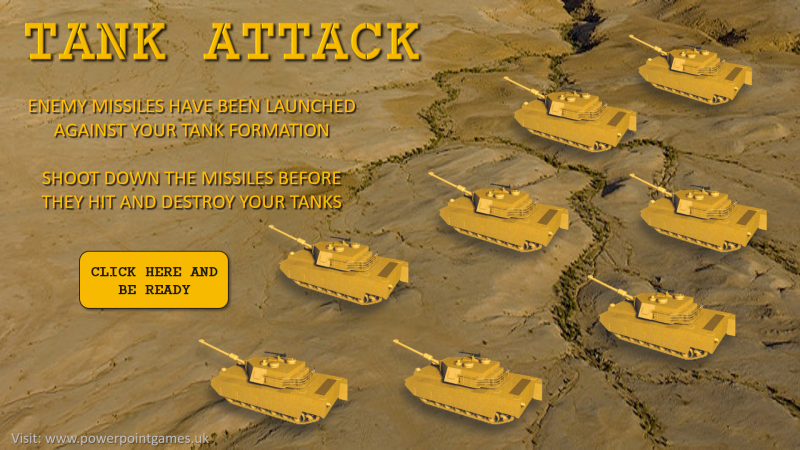 Your tank formation is under attack from enemy missiles so try to shoot them down before they strike. Not all of the missiles will be on target, but eight of them will be. 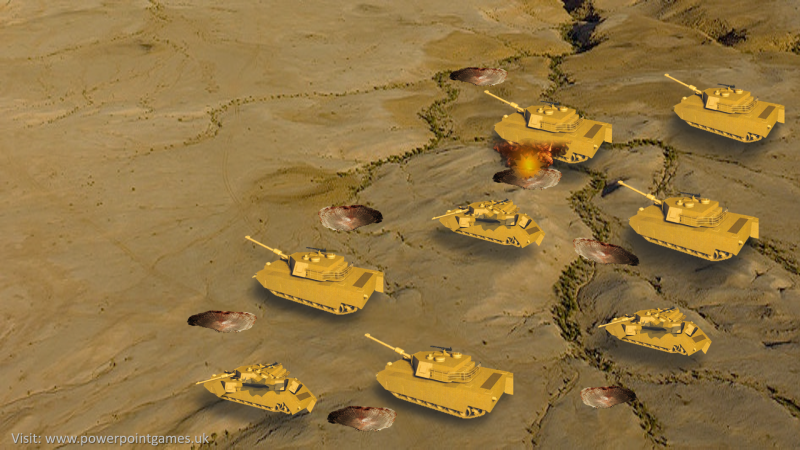 An explosive game with explosive sound effects.